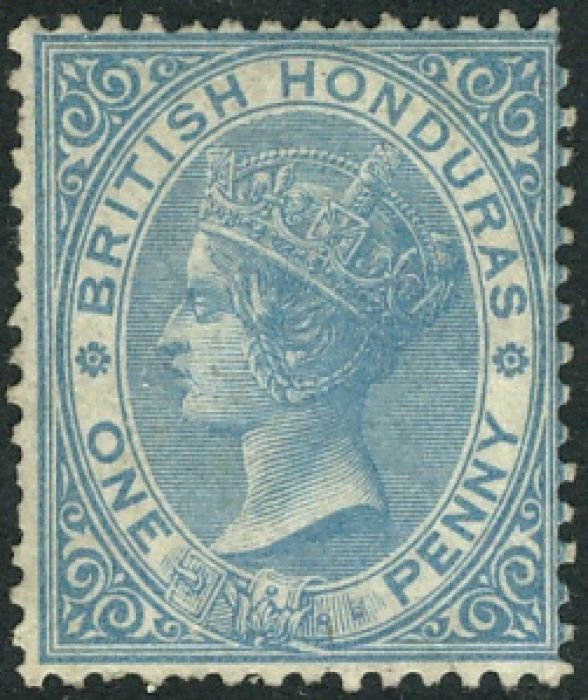 Turning again to Mackay , he states "Both Honduras and British Honduras introduced stamps in January 1866. 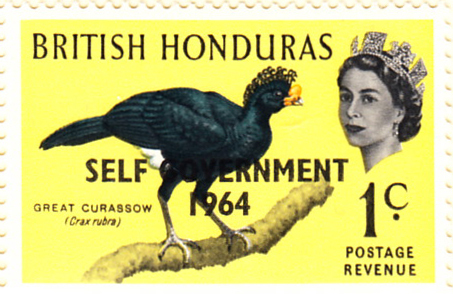 British stamps had been used … from 1858 to 1860 [and then] the archaic system of hand-stamping mail was re-introduced." He continues, "As an economy measure all three denominations were printed in the same sheet separated by horizontal and vertical gutter margins. 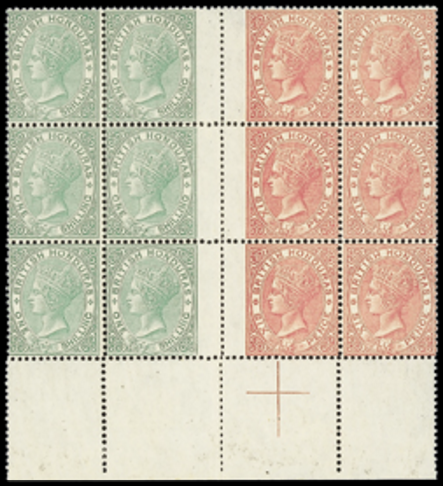 The sheet comprised two panes of sixty 1d stamps at the top, with panes of sixty 6d and 1s stamps at bottom right and left, so that interpanneau pairs of stamps of different denominations are possible, though extremely rare. 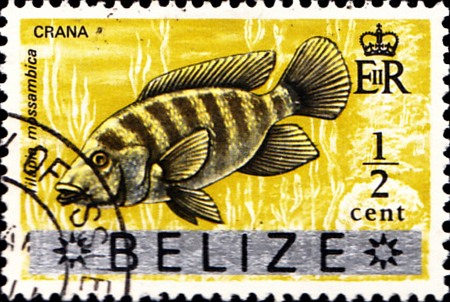 Later printings of the 1d stamp were made in sheets without the other denominations." The image of the interpanneau block is from Spink. There is no indication of the auction result. 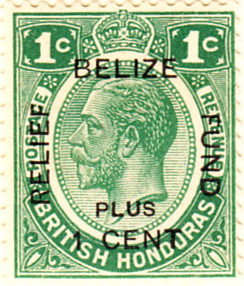 This Central American region bordering Mexico, Guatemala and the Caribbean became a Crown Colony in 1862, was granted self-government in 1964 and changed its name to Belize in 1973, though notably, the first Charity stamp, issued in 1932 following a hurricane, was for the Belize Relief Fund. Images from David Olson, Spink, NB.